1923-S Standing Liberty Quarter in AFFORDABLE Grade!! amfman has no other items for sale. 1923-S Standing Liberty Quarter 25C Coin - ANACS F15 Details - Rare Date! 1923-P MS63 FH Full Head Standing Liberty Quarter 25c, PCGS Graded! 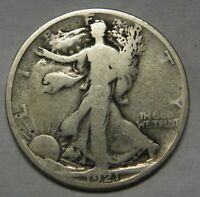 1921 STANDING LIBERTY QUARTER ~ ORIGINAL & VERY BOLD DATE XF+ PRICED RIGHT! 1923-S Standing Liberty Quarter 25C Coin - PCGS F15 - Rare Date - $725 Value! 1923-S Standing Liberty Quarter 25C Coin - PCGS XF40 - Rare Date - Rainbow Tone! 1923-S Standing Liberty Quarter 25C Coin - PCGS VF25 - Rare Date - $975 Value! 1923-S Standing Liberty Quarter 25C Coin - PCGS VF35 - Rare Date - $1,250 Value! Insurance based on final price of coin. Signature will be required.